When I first started playing drums, I had to learn how to play songs just to be able to play with my friends or at my church. Back then, my method for learning a tune was playing along from the start, stopping whenever I messed up, then restarting the tape recorder to try to get a better take. It wasn’t until I began playing gigs, when I had to learn multiple songs quickly, that I discovered a way to memorize tunes away from my instrument, accurately enough that by the time I sat down at the drums, all I had to do was work out the details. As a drummer, knowing and being able to internalize the tempo, form, transitions, breaks, and, most importantly, the groove of the tune is imperative. And for me, the best way to prepare all these details prior to a rehearsal, performance, or recording session is with a form chart. + Learn more on Soundfly: Need more help with notation? Check out our free course, How to Read Music. Let’s listen to Solange‘s new track “Cranes in the Sky” and see if you can draft a form chart to help you understand it. There’s so much that goes into a form chart, so feel free to share your chart in the comments below. The process of creating this form chart comes from listening to the tune, away from my instrument, while counting the bars in each section and making notes of any hits, breaks, dynamic changes, or groove changes that were contained in each section. On the second listen to the tune, I made sure that all of the rhythms of the hits were in the correct places, and that I had not missed any variations between Verse 1 and Verse 2, Chorus 1 and Chorus 2, etc. On third listen, I kept time with the track and clapped through all of the breaks and hits and paid close attention to the order of events in the tune, making sure I could anticipate what was coming next. I find I often forget to pay attention to the intro and ending when writing my chart, so I usually go back and make sure I have clear idea of who starts it off, how it starts, and how the song ends. After finishing the form chart, I go to the drums and make sure I can play the correct tempo with the right feel, and I that have appropriate the drum sounds for the track. In the past, I would try to sort these technical details out while simultaneously trying to learn the form of the song, which is something I do not recommend. Take it step by step, learning a bit more each time around. Focusing on the form, separate from the technical aspects of playing the tune, allows you to have the confidence that you know the song all the way through, before you bring in new elements to listen for. Many drummers need to see a score to learn a song, and that may not always be available. Given that charts are largely visual ways of interacting with music, let’s take a look at a musician creating a form chart that is organized more like a musical score. In this handy instruction, drummer Ryan Fowler uses the example of a pop country song. Using a form chart will hopefully speed up your process of learning tunes and recognizing grooves and genres. Form sheets will speed up how quickly you the form of a song, which will give you time to focus on your tone and feel. If you’re worried that writing a form chart sounds like more work than learning by ear — it actually still counts as learning by ear. The only difference is you’re writing down what you hear in a clear format, so that you can come back and reference it for your next performance. Which is optimal because keeping the gig is the ultimate goal! Efa Etoroma, Jr. is a Los Angeles-based professional drummer, composer, and educator who is known for his stylistic versatility, expressive creativity, and his deep musical instincts. He performs and/or records with a variety artists including Moonchild, Sneakout, Ellen Doty, Bennie Maupin, A La Mer, BRNSTRM, The Writers’ Guild, and Sensae. 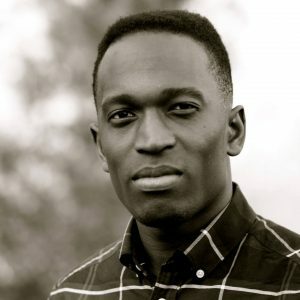 In addition, Efa Jr. serves on the drum set faculty at the Musician’s Institute in Hollywood, California and teaches songwriting and music production at Citystage LA. Efa Jr. uses Yamaha Drums, Paiste Cymbals, Promark Sticks, Humes and Berg Cases, and Remo Drumheads, exclusively.